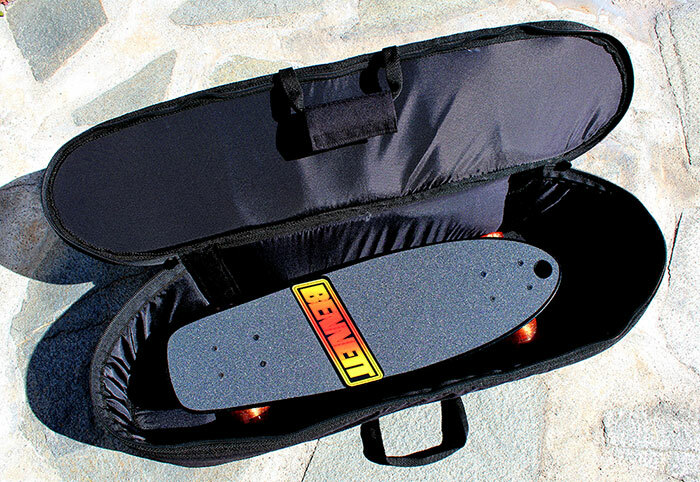 These small size cruisers are the perfect pack and go setup. Great gift idea for students to cruise around campus - and just right size to pop in the locker when not in use. 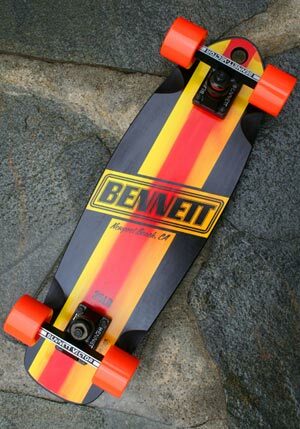 The deck itself is small, has a slight rocker and no kicktail. 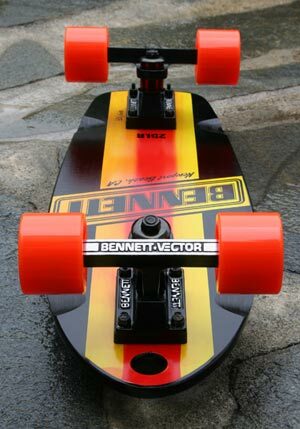 Assembled with ultra turning Bennett Vector model truks and Alligator wheels -- for fun & stylish ride. This classic set up is topped off with custom laser cut grip and hand screened on both sides. 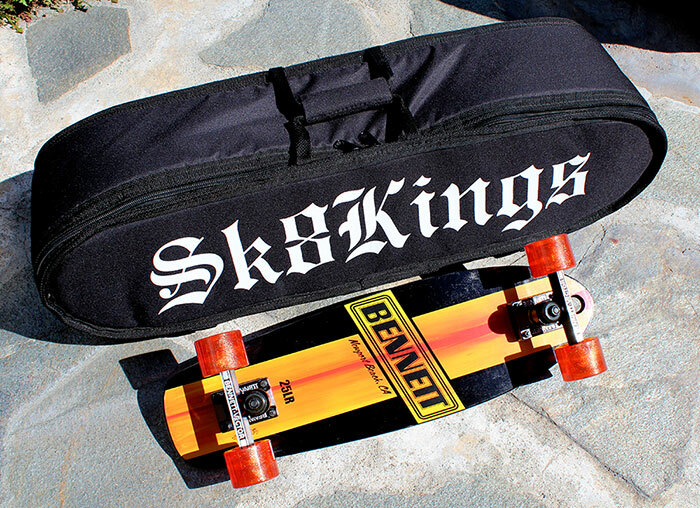 For summertime at the beach or for cruising the campus, these are small, well built, light weight, good time boards. 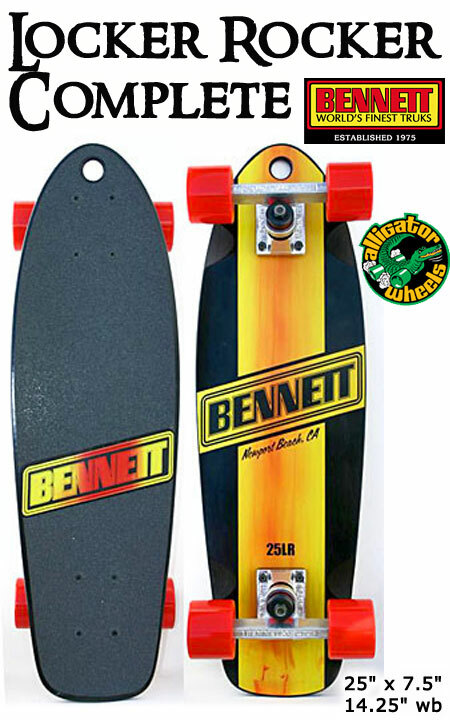 SPECS AND UPGRADE OPTIONS: Complete build features Bennett 4.3 Trucks, Alligator 62mm Wheels, Nitro Bearings with steel spacers, Khiro risers/hardware and die cut grip tape with Bennett logo topside. Please select wheel durometer of your choice. 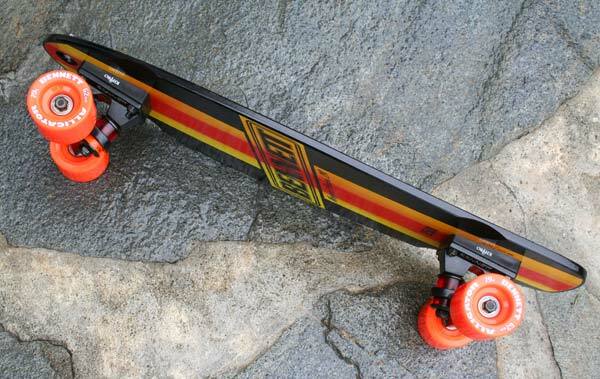 Upgrade to black finish trucks or 71mm wheels.